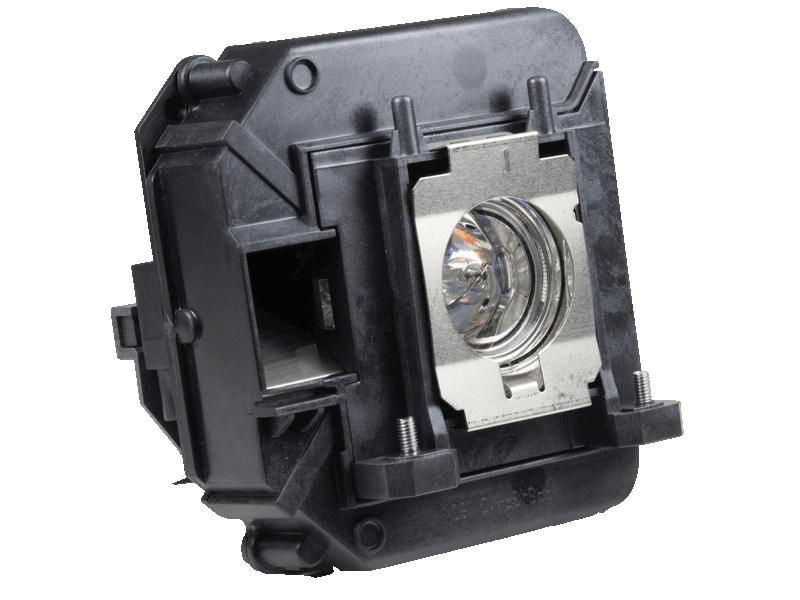 The Powerlite 93 Epson projector lamp replacement comes with a genuine original 200 watt Osram bulb inside rated at 3,000 lumens (brightness equal to the original Epson lamp replacement). The Powerlite 93 lamp has a rated life of 5,000 hours (6,000 hours in Eco mode). Our Powerlite 93 Epson lamp replacement has superior brightness and lamp life than other cheaper generic replacement lamps being sold elsewhere. Purchase with confidence from Pureland Supply with a 5-star Google rating, free ground shipping, and a 180 day warranty. Powerlite 93 Epson Projector Lamp Replacement. Projector Lamp Assembly with High Quality Genuine Original Osram P-VIP Bulb inside. Lamps work great - had no problems with installation and they arrived on time via FedEx. Very happy with our purchase. We bought an Epson lamp for our home theater and received it a few days later. After installation we called to find out how to reset our lamp timer and Jeanette was very helpful. She took the time to walk me through it until we were able to get the timer reset and everything perfect. Thank you for excellent customer service!